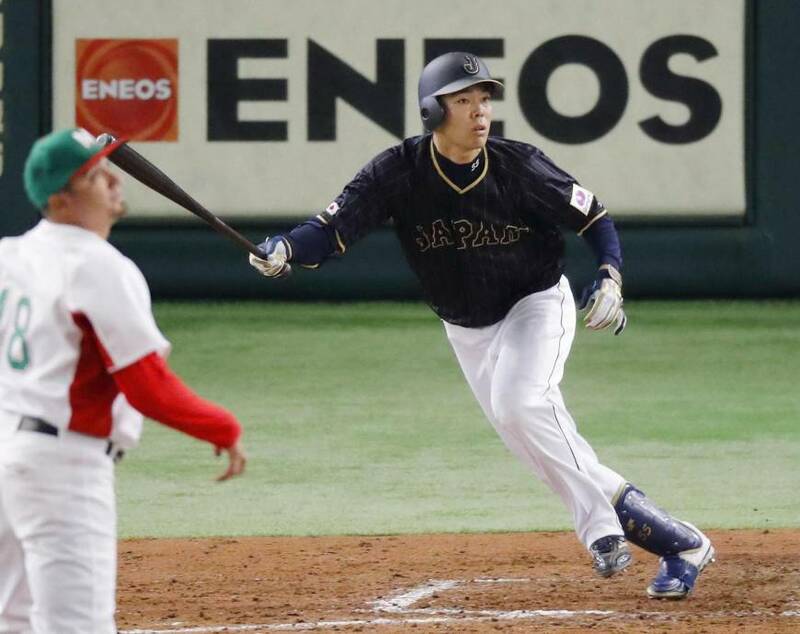 Shohei Otani has already shown what he can do on the international level with his arm. On Friday night at Tokyo Dome, he got the opportunity to take his cuts at the plate. 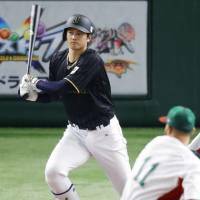 Otani had a pair of hits and stole a base, while Shogo Akiyama recorded four RBIs as Samurai Japan bounced back from a loss to rout Mexico 11-4 in the second game of the 2016 Samurai Japan Challenge on Friday night at Tokyo Dome. Japan split its two games with Mexico, which won 7-3 on Thursday, and will face the Netherlands on Saturday and Sunday at the Big Egg. “We won one, but I’ll do my best to help our team win the rest of the series,” Akiyama said. Otani, who struck out 174 and won 10 games as a pitcher and also hit .322 with 22 home runs for the Hokkaido Nippon Ham Fighters during the NPB season, only made a pinch-hit appearance in Thursday’s loss, but was in the lineup for Friday’s game. Batting third as the DH, Otani had a double, an infield single and drew two walks. His final appearance of the night was against nine-year MLB veteran Sergio Romo, and the 22-year old flew out to right. “The guy seems to be the real deal,” Romo said. “Not surprised by anything that I saw. Just more impressed, especially from the respect aspect of the game. As a human being, he seems to be beyond respectful, cleaning home plate, picking up catchers’ masks, saluting the crowd even after just hitting a foul ball that way. He hit a double in the first inning, and he was greeting our guys, bowing his head. It’s impressive to see that kind of respect. 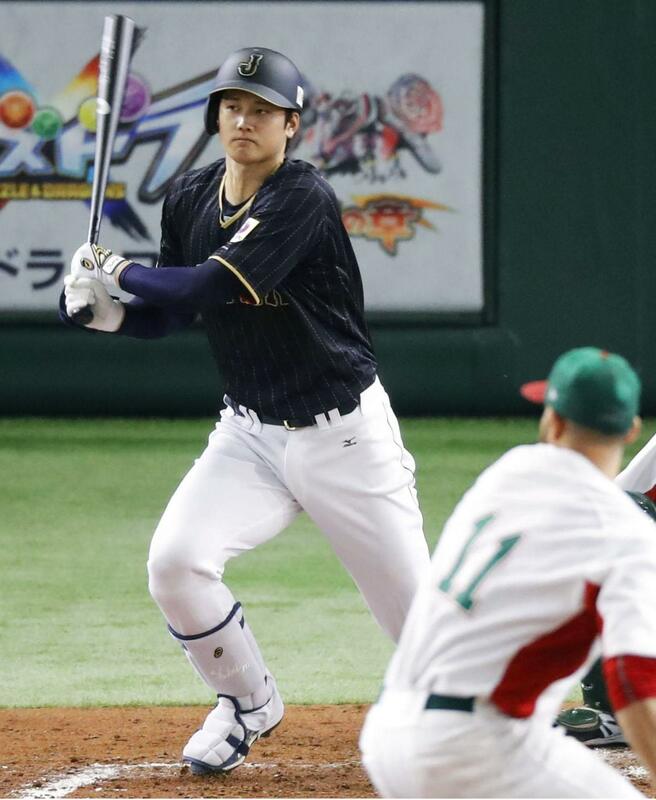 Japan manager Hiroki Kokubo has said he’s open to using the two-way talent, who made his top-team debut at the plate during Thursday’s game, as both a pitcher and hitter during next year’s World Baseball Classic. After the Mexicans beat Japan Thursday, manager Edgar Gonzalez kept saying he expected the Japanese to come out stronger in the second game. Akiyama was at the head of Japan’s 13-hit parade. The Seibu Lions star had a pair of RBI doubles, a run-scoring single and picked up another RBI by drawing a bases-loaded walk. 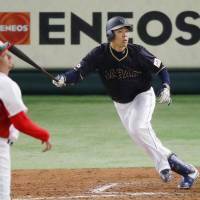 The Fukuoka SoftBank Hawks’ Akira Nakamura had Japan’s only home run, a two-run shot off Romo in the top of the ninth. Asked if he’d like to have that pitch back, Romo said he felt the exact opposite. The Fighters’ Sho Nakata, Hayato Sakamoto, Gonzalez’s former Yomiuri Giants teammate, and the Hawks’ Seiichi Uchikawa each had run-scoring hits for the Japanese. Yokohama BayStars slugger Yoshitomo Tsutsugo and Hiroshima Carp second baseman Ryosuke Kikuchi chipped in with an RBI groundout apiece. Yusuke Nomura, who led the Central League with 16 wins for the Hiroshima Carp this year, got the start for Japan and allowed three runs on five hits, three of them home runs, in five innings. He was credited with the win. Hector Daniel Rodriguez took the loss for Mexico. He allowed four runs on five hits in 4 1/3 innings. Rodriguez struck out one and walked four. The Mexicans’ homers came from Tohoku Rakuten Golden Eagles slugger Japhet Amador, Ramiro Pena and Alex Verdugo. Timothy Torres also drove in a run with an RBI single in the seventh. Chiba Lotte Marines pitcher Ayumu Ishikawa will start for Japan against the Netherlands on Saturday. Jair Jurrjens is scheduled to take the mound for the Dutch.